Ethiopian-Israeli writer-director Aäläm-Wärqe Davidian makes a startlingly confident feature debut with this story of lives torn asunder by civil war. 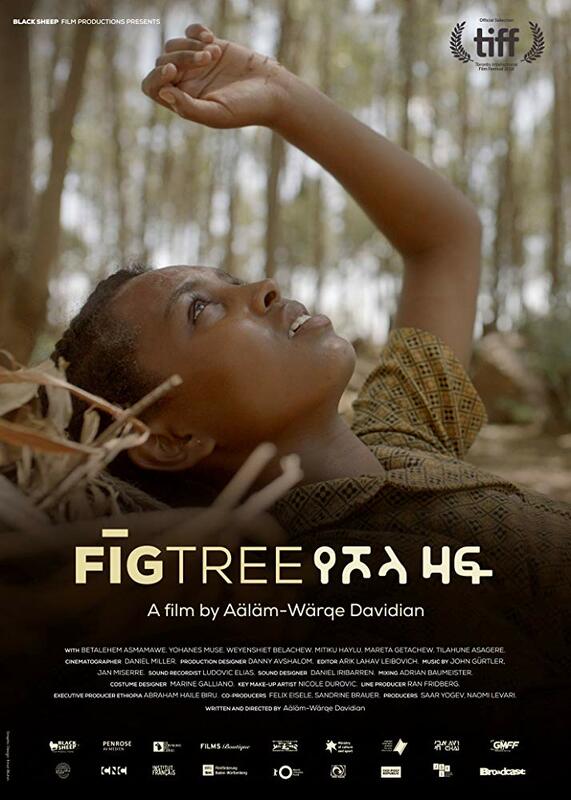 Set in Addis Ababa in 1989, Fig Tree follows a teenage girl’s harrowing coming of age. Mina is 16 years old. The Ethiopian Civil War has been underway her entire life. She lives with her brother and grandmother in a humble house with newsprint for wallpaper. The family is Jewish and is planning to flee Ethiopia for Israel, where Mina’s mother awaits their reunion. But this plan leaves out the person Mina loves most: Eli, her Christian boyfriend, who lives in the woods so as to evade being drafted into Mengistu Haile Mariam’s army. Mina hatches a scheme to save Eli, but everyone and everything seems set against her. Drawing upon her own memories of growing up in wartorn Ethiopia, which she left at age 11, Davidian’s approach is unsentimental and focused on her heroine’s plight. In capturing the particular nature of Mina’s life, Davidian blurs the lines between the quotidian and the extraordinary: we see her attend school or cuddle with Eli under the shade of a fig tree via the same clean, cool camerawork that shows her watching boys being scooped off the street and corralled into military vehicles, or discovering a paraplegic soldier attempting suicide. Fig Tree offers us a rare opportunity to better understand the impact of civil war on the lives of ordinary people — and it pulls no punches.